1. Purchase fresh produce as minimally processed as you can find it. Buy whole heads of lettuce and bunches of spinach rather than in bags and boxes. 2. Don't buy produce that have been cut at the store. 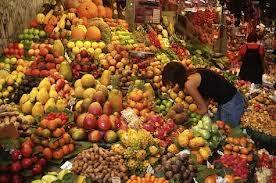 Grocery stores often don't store cut-fruits at the proper temperature, allowing bacteria to multiply on it rapidly. 3. Look for produce that's free from blemishes. Broken skin provides a place for bacteria to enter and increases the chance of contamination. 4. Wash your hands before handling produce. 5. 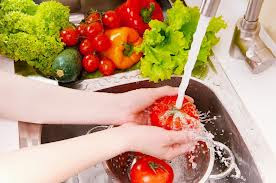 Wash the outsides of fresh produce under cold running water. Do this even if you won't be eating the skin. 6. Scrub the outside of foodstuffs like melons, cucumbers and apples with a brush under cold running water. The bacteria on the outside will penetrate inside with the first swipe of a knife that cuts through the skin and into the flesh. Make sure your scrub brush is properly sanitised too. 7. Treat your fruits and greens like you would treat raw meat. Clean all surfaces used after cutting the raw produce. 8. Watch out for cross-contamination. Make sure packages of raw meat aren't packed in the same grocery bag as fresh fruits and vege. 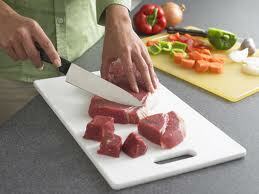 Store meats on the lowest shelves of the fridge to decrease the chance that they could drip onto other foods. 9. 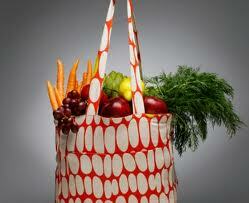 Wash reusable grocery bags frequently. If the bag you use to carry raw chicken today is the same bag you will use to carry fruits tomorrow, make sure it's washed in between. 10. Cook greens like spinach to a temperature of at least 165 degrees to kill any bacteria before eating. 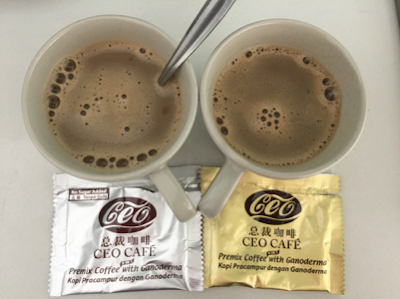 This is especially important for the elderly, young children and those with weakened immune systems. Please email me at askfuiping@gmail.com if you have any queries.